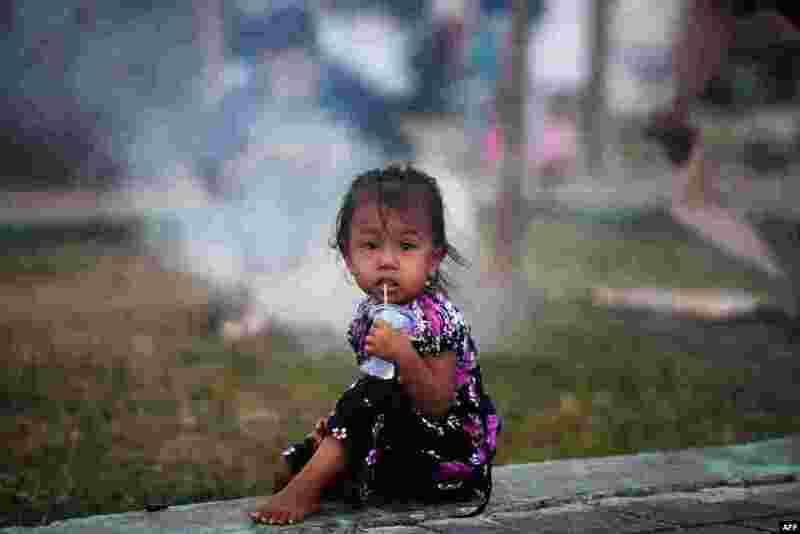 1 A child drinks water at a makeshift camp in Palu in Indonesia's Central Sulawesi, following the September 28 earthquake and tsunami. 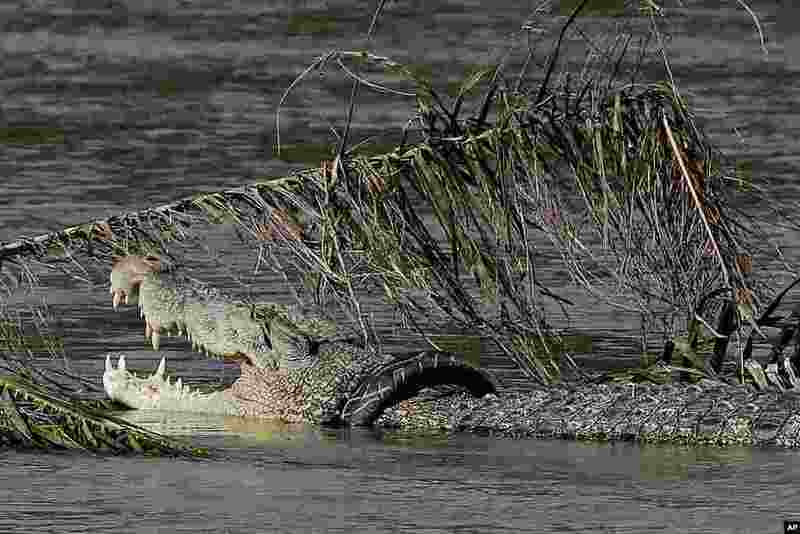 2 A crocodile trapped inside a rubber tire swims along a river's edge among debris left by a massive earthquake and tsunami that hit Indonesia last month. 3 England's cricket player Chris Woakes grips a ball as he practices the swing during a practice session in Colombo, Sri Lanka. 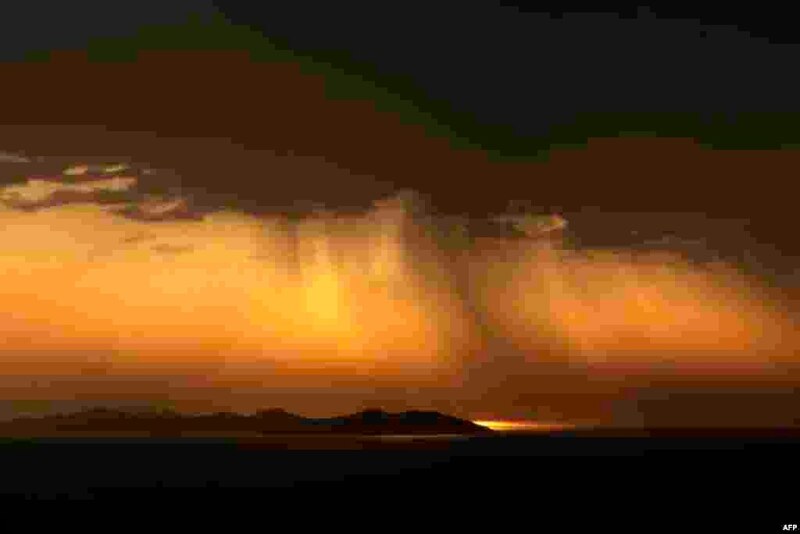 4 The sun rises behind a bank of cloud on the Greek island of Sifnos.